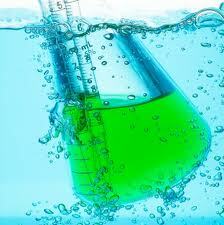 New Green Chemistry Initiative Law Went Into Effect October 1, 2013, Manufacturerers Bracing For The Worst! California businesses get ready! In case you missed it, a new law affecting the manufacture of consumer products in California went into place on October 1, 2013. The final version of the Green Chemistry Initiative was approved by the State of California Office of Administrative Law on August 28, 2013. California’s Green Chemistry Initiative regulations arose out of two bills signed into law in 2008 by then-Governor Arnold Schwarzenegger: Assembly Bill 1879 and Senate Bill 509. The new law is one of the nation’s most comprehensive regulations intended to make products sold in the State of California safer. Last week, the DTSC regulatory authority published a list of about 150 “candidate” chemicals that they have targeted in selecting the first chemical and product combinations that will be subject to these new regulations. The intention of the law is to place a burden on manufacturers to replace existing chemical formulas with safer alternatives if one exists. The stated goal of the Green Chemistry Initiative is to replace hazardous chemical from consumer products and replace the offending chemicals and products with more sustainable, safer, and environmentally friendly alternatives. While these goals are certainly noble, there is a lot of fear in the business community as to what compliance will look like. California product manufacturers are already struggling to comply with numerous state and federal regulations. Manufacturers are concerned about what effect another broad set of regulations will have on their ability to continue to do business within the state. The full impact of the Green Chemistry Imitative is not yet known and will not be felt for some time. What is clear now is that the Green Chemistry Initiative provides government regulators with unprecedented influence and authority over consumer product development and design. In the coming months, businesses operating in or through state of California will begin to feel the full impact of the Green Chemistry Initiative. The chain reaction will be felt among manufacturers throughout the United States. Businesses everywhere should hope for the best, but begin to prepare for the worst. Ready or not, here comes Green Chemistry!